Throughout the years, we’ve had the privilege to work alongside thousands of fantastic causes. For inspiration on who to support, or to check if your favourite charity is already partnered with us, please use the search facility below. 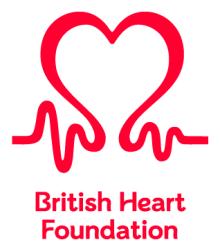 The British Heart Foundation is the nation’s heart charity, dedicated to saving lives through our pioneering research, patient care, campaigning, and vital information to keep more hearts beating. But we can’t do it without you and your essential donations of time, money and support, which allow us to continue our life-saving work. Because it’s only together that we can beat heart disease.